It's scary to think that This Guy and I are going to be parents, and yet it's true. We are so delighted that in six months we will have our little bundle of joy here, who we have affectionately nicknamed Cub until we find a more permanent name. Although who knows, we could just stick with Cub? Anyway, we have six months to work it out and that's just one in many decisions we have to make. The past three months have been so different from any others, full of sickness, full of baby brain, full of exhaustion, full of emotions and so many other things. Thankfully I haven't been hunched over a sink throwing up every day all day, but the nausea has still been strong with this one and the daily morning sickness definitely isn't pleasant. I'm glad my morning sickness has decided to keep it to the morning most days, and then ease. It's still present, but not as frequent, which is promising. Hopefully I'm at the end of this stage and my desire to eat more than pancakes and Mexican food will return. It's also been quite an emotional time, but I'm told it's just the hormones and I'm not just becoming mentally unstable. For someone who rarely requires tissues, my eyes are suddenly full of tears when thinking of our little Cub, and everything their presence will mean to our family. I've got a bit of brain fog, or as it is more commonly referred to Baby Brain. I've left a laptop on a train in Sydney, a book in a taxi on the way to the airport and I've ordered a pizza delivery forgetting to specify gluten free. The most frustrating of the three occurrences was the pizza, because man this pregnant woman gets Hangry, and having to wait for a re-delivery because she screwed up her order actually made this Coeliac consider eating gluten, even with the known consequences. Alas, Dominos was good to me and had it to my door within 20 minutes. When we first found out that I was pregnant, we were cautious. 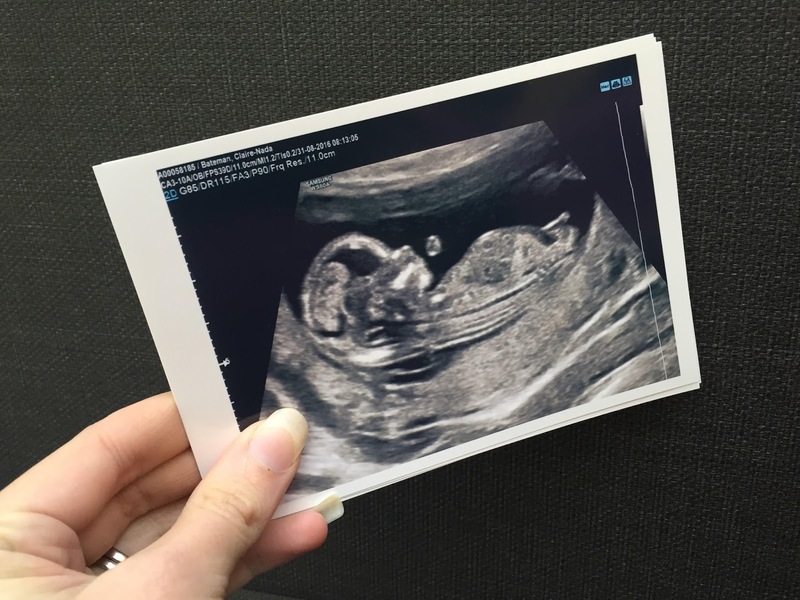 Knowing the statistics around miscarriage I was hesitant to get too excited too quickly, as our Cub may well and trying have disappeared just as quickly as they appeared. However, thankfully at nine weeks pregnant I was able to hear our beautiful angel's heart beat, thanks to my amazing obstetrician. Suddenly, I became conscious and realised that Cub was real and not just a figment of my imagination. I wasn't getting fat and having acne breakouts for no reason. There was a little puppeteer behind the whole operation, and they were growing and transforming more into a human day by day. Last Wednesday, we saw our little Cub for the first time at our Ultrasound appointment. What a beautiful little human, dancing in the womb and blowing bubbles, although I'd like to think that they were actually blowing kisses for mummy and daddy. There's no way anyone can be prepared for that moment, when you lay eyes on that little human growing inside you. It's truly incredible what the body can accomplish and how quickly a tiny cell can transform and grow. I'm looking forward to watching, and documenting the change in shape of my size 6 figure. For a change my bum may not be the biggest asset, making way for a marvelous baby bump, a reminder of the path I am taking into motherhood. On Wednesday we also chose to announce it to the world. A few family members and friends were told prior to the reveal, but we kept our support network nice and small, until we were sure everything was okay. It seems like the status quo to wait until the first ultrasound to share the news, as the risk of miscarriage has decreased immensely and most of the testing for issues like Spina Bifida has already occurred. Since sharing the news we've had an overwhelming show of support and love from family and friends, near and far. I hope to share this journey with you all on Instagram over the next six months and beyond, with a blog update for each trimester. Not just as a way to share the good, bad and ugly of pregnancy, but also as a way of documenting the moments for myself and my husband.